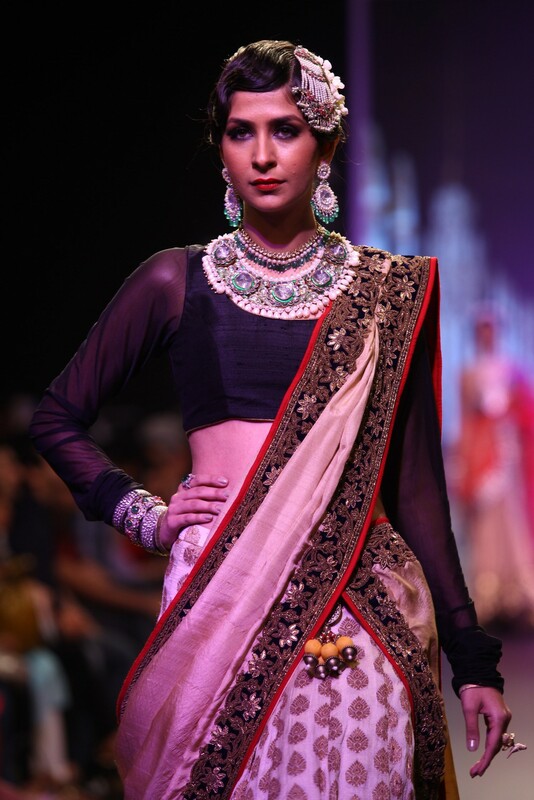 Another Day at the India International Jewellery Week was a star studded affair full of glitter and glam! The day began with Sun Jewels presenting NID. Beautifully crafted pieces had their own unique style. 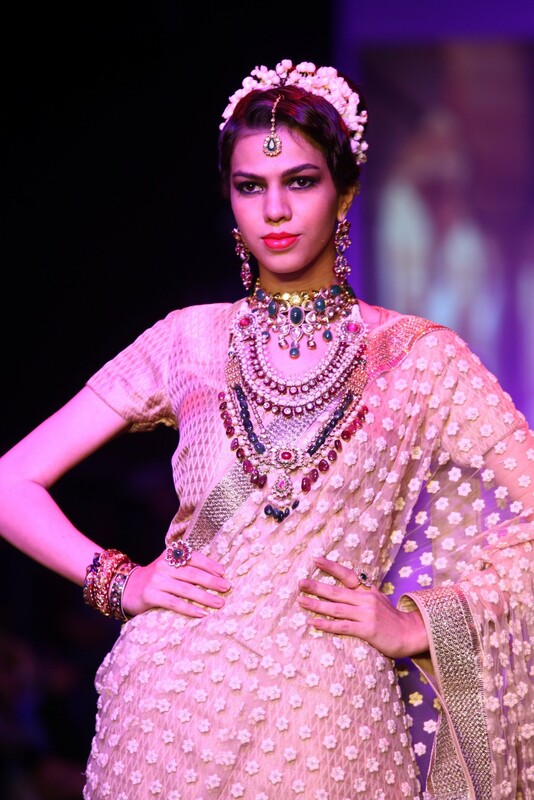 Pallavi Foley in association with Abharan Jewellers showcased their collection in a mix of gold and diamonds. Alia Bhatt walked down the ramp for the designer. Her black ensemble designed by mapxencaRS drew attention to her bright complexion highlighting the impact of the exquisite earings designed by Pallavi Foley. 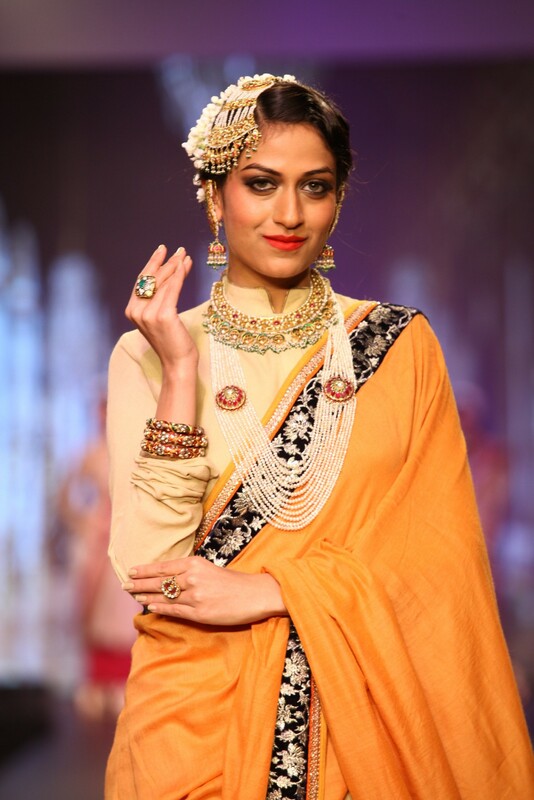 Inspired by the royals of Rajasthan, The Golecha’s Jewels showcased their pieces on the runway. The Golecha’s jewellery is a celebrity’s choice and their clientele includes some of the bollywood biggies like The Bachchans. 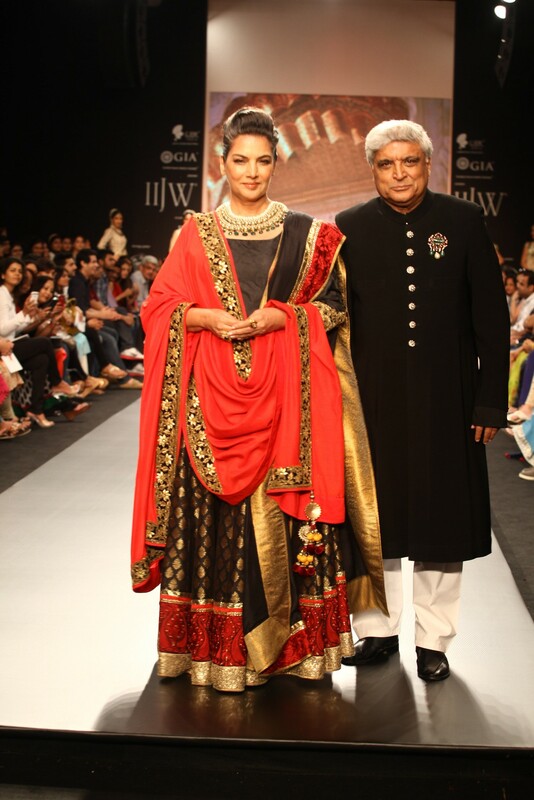 The elegant couple, Shabana Azmi and Javed Akhtar were the show stoppers at the event. Dipti Amisha’s Treasure beyond measure Khajana show was inspired by the royal blood. The collection consisted of precious gems crafted in a western pattern. Pretty Aditi Rao Hydari walked down the ramp donning a piece from the collection. 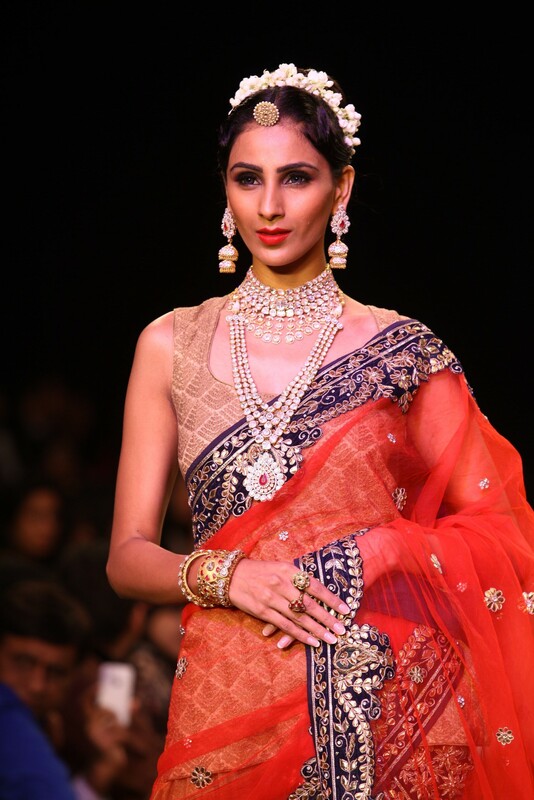 Charu Jewellers, a brand which is known for it’s creation of I am She pieces presented their wedding collection at IIJW. 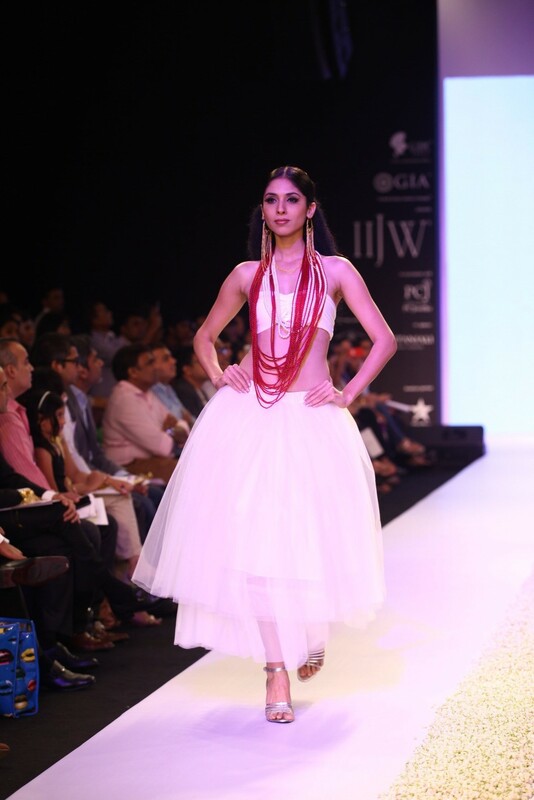 Pearls and precious stones were crafted into neckpieces and bracelets. 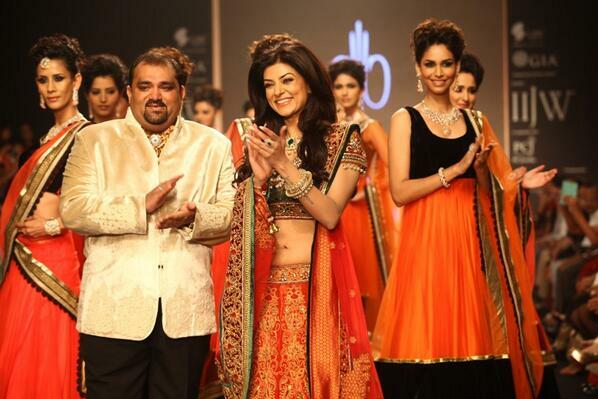 Sushmita Sen set the stage on fire as a show stopper. 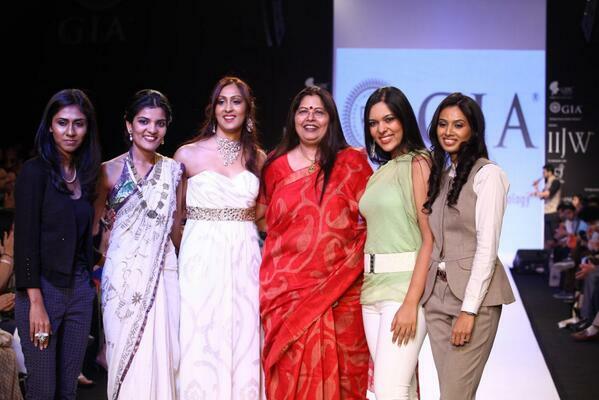 Graduates of Gemology Institute of America presented their collection at the IIJW. The young minds of jewellery world brought to life a unique line of jewellery. The day ended with Shringar- House of Mangalsutra’s show. The delicately designed managalsutras were presented at the show. Studded with precious stones, the pieces are made to win a woman’s heart. 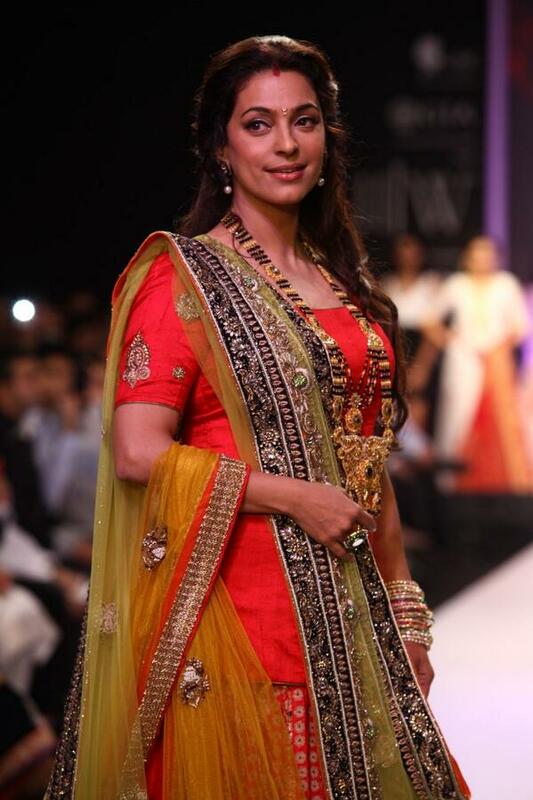 The charming Juhi Chawla brought the show to it’s end.